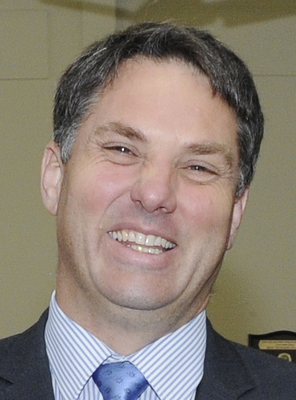 A coalition plan directing skilled migrants to Geelong has earned praise from Labor MP Richard Marles. The Federal Morrison Government this week announced plans for two new visas requiring skilled workers to live outside major cities for three years before becoming eligible for permanent residency. The plan included 23,000 regional visas for skilled migrants and incentives to draw them to regional centres including Geelong. Mr Marles welcomed any “ideas that will help see people call Geelong home”. “Geelong is a growing regional city because it’s a great community to live in,” he said. The influx of migrants would require additional infrastructure investment, Mr Marles said. “We should be open to (more migrants) but it’s the current funding failures of this government that have put pressure on our region,” he said. Prime Minister Scott Morrison said on Tuesday the plans would ease congestion in Australia’s capital cities and help fill shortages in certain professions. “We’re only talking about people going into places where there is the jobs and opportunities,“ he said. The government announced the plans as part of its new population policy, which seeks to lower Australia’s immigration cap from 190,000 to 160,000. The government also wants to lure domestic and international students with 1000 scholarships worth $15,000 each. Regional Cities Victoria, representing the state’s 10 largest cities outside Melbourne, also welcomed the plans. Chair Margaret O’Rourke said the announcement would encourage migrants to live in regional Victoria. “Targeted skilled migration would help address the chronic skills shortage that some regional cities face and would deliver a significant boost to local businesses and regional economies,” she said. The Australian Local Government Association also welcomed the plans.